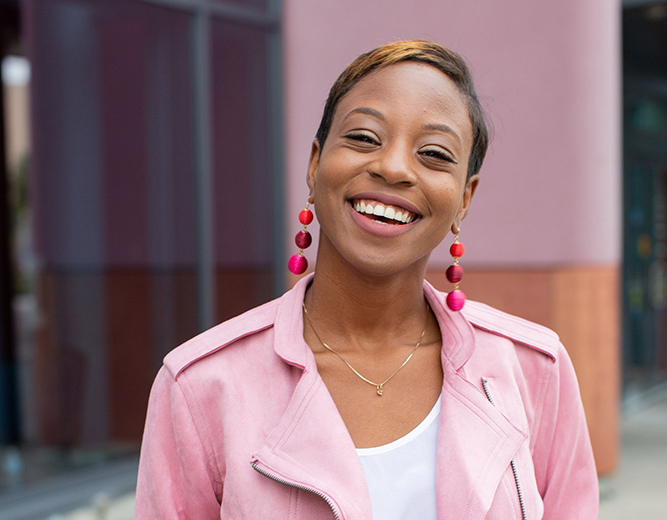 Founder of Do Well Dress Well, Chanèle McFarlane, is empowering women through style, networking and personal development opportunities with the hopes that every woman can live a confident, and remarkable life. 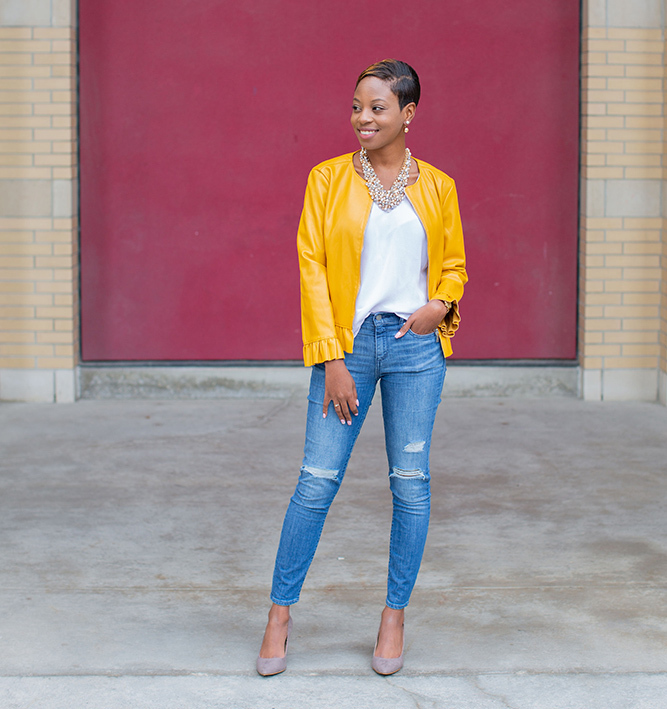 McFarlane founded the organization in 2016 after craving an outlet to talk about the things she was most passionate about; personal branding and style. The content started to expand from its origins to include professional development conferences and networking events. Growing up with two parents actively involved in the Greater Toronto Area community and working for organizations such as United Way, giving back was something engrained in McFarlane from a young age. Do Well Dress Well was originally created with the hopes of one day becoming a social enterprise, despite McFarlane being unsure how exactly that would manifest. Luckily, the answer came to her at Sophia Amoruso’s Girlboss rally last November when she shared videos and photos of the conference to social media. Many women expressed interest in attending conferences but couldn’t due to financial barriers. In that “eureka” moment, Confidence Through Conferences was born. It’s an initiative that provides financial support to high-potential millennial women from an array of cultures, to attend conferences globally. While creating meaningful content is important, creating a positive community impact is the true measure of success for this stylish entrepreneur. My mission is to create meaningful content, community, and opportunities for women to become their most remarkable selves. My number one role model definitely is my mom. She has been the person that I’ve looked up to and I get my work ethic from her. She taught me to work hard, but always make time to give back to others. What has been your biggest failure/roadblock? The biggest roadblock definitely has been myself. I have this really bad habit of getting in my own head especially when I come across really good opportunities. I try to just remind myself that I do deserve what is happening. It’s been building a community of genuine women. To be able to look back almost three years later and see that I have an international community of people who read my site, come to events, and women that are so involved in the Confidence Through Conferences movement, I have to consider that a success. It’s all impact. I am not numbers driven. Whenever I get an email from someone saying how much a post I wrote resonated with them, or the email I get saying ‘I won the pitch competition,’ or whatever it is — the positive sentiments that I get back from women from the opportunities or content that I’m creating makes me feel like what I’m doing is a success. Over the summer I was raising funds for a young First Nations woman from the Yukon who was accepted to be a delegate for the G(irls)20 Global Summit in Argentina. Delegates are selected from all over the world, but you also have to cover your own expenses. She went to that last week and I had a chance to see her yesterday. She said the experience was life-changing. It’s moments like that, that make it worth it, helping change lives. As a woman of colour, what has your experience been like in the business world? It’s made me a lot more careful about the spaces that I enter, and especially now when diversity and inclusion are trendy. It’s made me a lot more mindful of the people that I’m choosing to partner with, and the speaking opportunities that I accept. I want to make sure that people’s intentions are genuine; I don’t want to be a statistic. How has your own style impacted you? I had a lot of self-esteem issues when I was younger, I was bullied quite a bit as well. Once I uncovered my personal style, it helped me to regain my confidence. I thought it was especially helpful when I was leaving school and navigating the workplace. Having my personal style helped me to stand out at work. How can women leverage colour? When you wear colour, it not only makes you feel really great, but also the people that you encounter. For me, I love the colour yellow. If you wear yellow to an interview, I just find the way that people will have a conversation with me is a lot more open. What is one part of your daily routine, non-work related, that helps you stay balanced? I read a lot. I’m really trying to get back into reading fiction books. My favourite book is Snow Flower and the Secret Fan by Lisa See. I love that book because it allows me to escape so far from my own world. Advice for the next generation of entrepreneurs? My number one piece of advice is to do well by doing good. We don’t always take the time to figure out what our intentions are and maybe we’re in it just for the numbers, or for the money, but if you start with wanting to create an impact, if that’s your number one goal that you want to achieve, that makes it more meaningful.